Ebola? Sure, bring it on over….Cheese? Get that dangerous substance out of here! 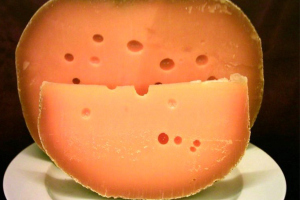 The FDA has banned the sale or import of seven different cheeses – for your safety, of course. While some of the cheeses sound downright terrifying (live maggots are used in the making of Casu Marzu), others are pretty benign. Most of the cheeses in their authentic form use raw milk, which is likely why the FDA has decided to prohibit consenting consumers from purchasing the offensive snack. Regardless, banning cheese is a pretty good indicator that you don’t have the freedom to eat what you choose. Which should be one of those basic freedoms inherent to all humans, you know?